While Australia has a fantastic universal free healthcare system (Medicare), most visitors to Australia are unable to access it. Working visa health insurance is a type of health insurance that international workers need when they move to Australia for work. OVHC: Who Offers Working Visa Health Cover? If you need to buy working visa health cover or overseas visitors health cover (OVHC), find out which insurance companies offer it. What Does Working Visa Health Cover Cost? What Does OVHC Cost? How much is the price of OVHC? If you’re planning a long-term stay in Australia, you need an overseas visitors’ health cover (OVHC) policy. Australia is a great place to live and work, whether you’re on a long stay 457 working visa or a 417 working holiday visa. We have more wide open country to explore than almost any other country, and we have a great range of natural environment, from the amazingly white, sandy beaches, to the refreshing rainforests, to the stunning deserts of Uluru. In order to come to Australia to work (and explore), you must first get working visa health insurance. 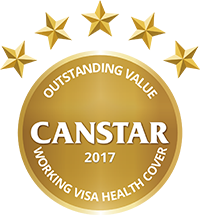 We can help you compare working visa health cover and choose which working visa health cover will suit you best! What is working visa health cover? Working visa health cover is a type of health insurance that you must have if you are an international worker visiting Australia to work. Working visa health cover pays part or all of the cost if you have to visit the doctor, go to hospital, need an ambulance, or need to buy pharmacy medicines. International workers must have working visa health cover because you cannot access our public health system, so you need private health insurance to pay for your healthcare. This is called Condition 8501, and all the working visa health cover providers we researched meet this condition. 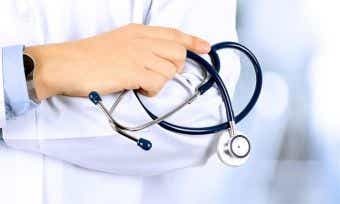 You must have health insurance for the whole time you are here on a working visa, and you must take out a policy before you arrive in Australia. If you extend your visa, you must renew your working visa health cover policy. If your family is coming overseas with you, your spouse (husband or wife) and children under 18 years old must also be covered by working visa health cover. Your partner or family can be covered by your working visa even if they are not working. You need to choose a Couples or Family policy in order to cover someone other than yourself. Some insurers may charge more for a couple’s policy than a policy for two single people (it is possible that they believe a couple would be more likely to claim for childbirth, which is an expensive admission to hospital). The cost of a family policy may also be more than the cost of a couple’s policy – although sometimes the cost might also be the same. If you decide that your health cover is too expensive or doesn’t cover what you want, you can switch to a different insurance provider, as long as you do not let your policy lapse. Learn more about working visa health cover here, or find out how much working visa health cover costs here. What visas require health insurance? What working visas require health insurance? 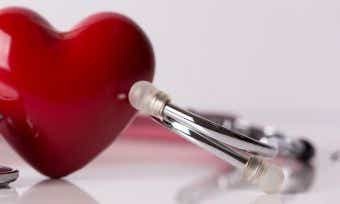 Make sure when you are apply for health cover that it will satisfy the conditions specific to your visa type. Use the Department of Immigration Visa Finder online to find out which working visa you need. If you are a from a country which has a reciprocal health care agreement with Australia (currently Belgium, Finland, Ireland, Italy, Malta, the Netherlands, New Zealand, Norway, Slovenia, Sweden, or the United Kingdom (UK)), you may be able to enrol in Medicare (Australia’s public health insurance system). Visitors from these countries do not need to buy health insurance as a condition of their visa. Find out more about reciprocal health care agreements here. Since you cannot enrol in Medicare from outside Australia, you will still need to have adequate health cover before you arrive. Medicare only covers treatment in a public hospital, so you will still need to consider whether private health insurance is right for you. Not having an adequate level of private health cover might mean you have to pay a larger amount of tax in Australia in the form of the Medicare Levy Surcharge (MLS). What does working visa health insurance cover? At a minimum, working visa health insurance will help cover the costs involved in being admitted to a hospital within Australia. This includes the cost of staying in a hospital bed overnight, operating theatre fees for surgery, medicines, the cost of any medical procedures, and riding in an ambulance in an emergency. Policies may also cover some types of medical services that are used outside of a hospital. If you want to be covered for any out of hospital costs, you might want to consider Hospital and Medical cover. This adds medical cover to your hospital cover. If you would also like to be covered for other common medical services like a trip to the dentist, optometrist, physiotherapist, chiropractor, remedial massage, cancer screenings and more, you should consider an Extras Cover health insurance policy to add to your working visa health insurance. Some insurers also offer policies that include hospital, medical, and extras cover. Any costs and charges above the benefit paid by your insurer will be part of your “gap”, which is your out-of-pocket expenses. Who offers working visa health cover? You can buy your working visa health cover through your employer or you can buy it online on an insurance company’s website. You can choose your insurance company, even if your employer has a “preferred provider” and recommends that you choose their provider. This is different to in the past, when only your employer could arrange your health insurance. You can use the myVEVO Visa Entitlement Verification Online app (available for Android and Apple devices) to check your Australian visa expiry date, work rights, study rights, and travel conditions. You can also email your visa details directly from myVEVO to your employer, school or other organisation. Can I transfer or switch working visa insurance companies? You can transfer to a different working visa health insurance company anytime. If you paid in advance for your working visa health cover, you can get a refund, but you may have to pay a ‘refund processing fee’. You must buy a new working visa health insurance policy before you can get a refund from your previous insurance provider, because you must have insurance for the whole time you are in Australia. You will not have to wait the waiting periods again after you change working visa health cover providers, provided you are transferring to a policy with the same level of cover as your previous one.